A restaurant with a history in Ohio is bringing its family recipe to Zanesville. On Tuesday, Pizza Cottage celebrated the grand opening of its fifth location at the Northpointe Shopping Center. 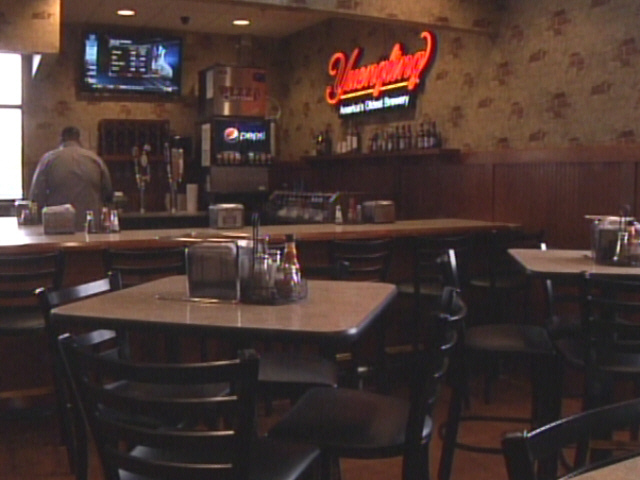 Manager Scott Phillips said the restaurant owners had been planning to move to the Y-city for two years. "We are very happy to bring a lot of new employment to the Zanesville area," said Phillips. "We hired about 70 employees at this location, and we’re very blessed to be growing in a somewhat down economy, but pizza is doing very well." The building was constructed in about five months and features a large dining area, sports bar and patio seating. Phillips said the menu offers something for everyone – and there’s more than just pizza. "We are adding a couple of new subs to our menu with the opening of this location – a chipotle chicken club and a chicken parmesan sub," said Phillips. Pizza Cottage will deliver to businesses at no extra charge. Residential delivery is not available, but Phillips said it’s more fun to enjoy the atmosphere inside.